We’re thrilled to announce the release of the web site we have been developing for Hartcliffe Nursery School and Children’s Centre, based in Bristol. Hartcliffe Nursery School and Children’s Centre really wanted a web site that would help them connect better with parents and the local community – showcasing all the exciting events that happen within the school, the services they provide to families, and the school’s wonderful facilities. 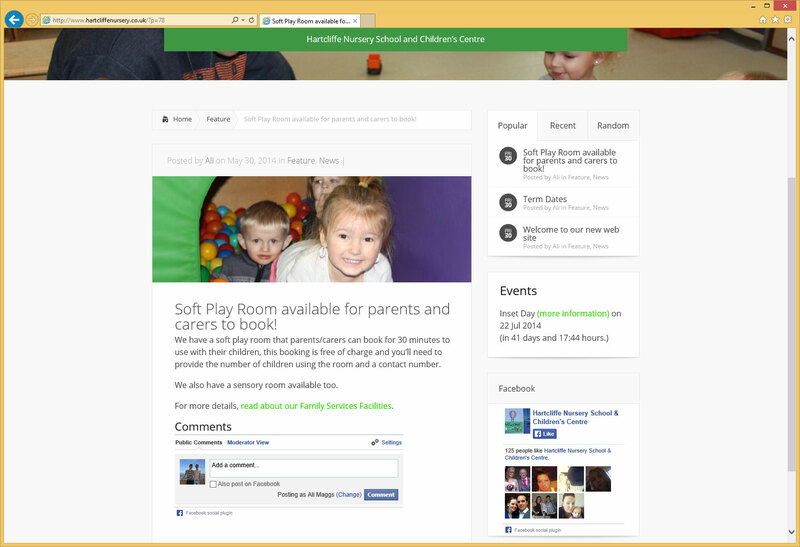 The site is live at http://www.hartcliffenursery.co.uk. You can read more about our web design services for schools in our services section.